Jam then cream or cream then jam? 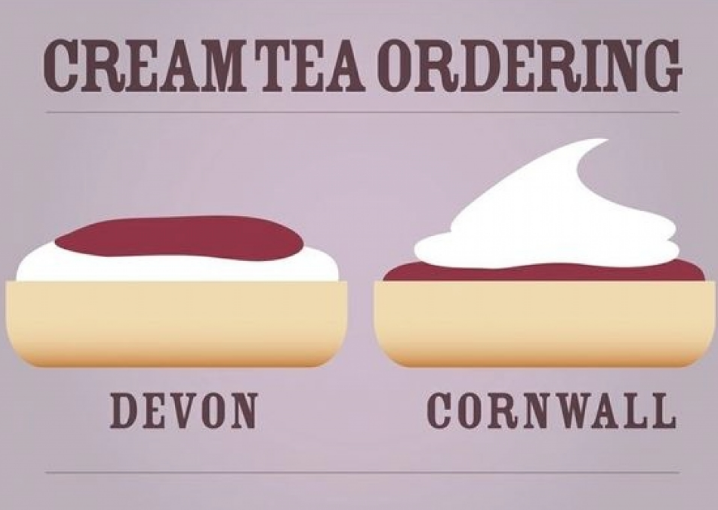 At Wooda, we are very close to the Devon border but as we are firmly in Cornwall, we always choose the Cornish way when it comes to a cream tea… jam then cream! When it isn’t beach weather, there is one thing we love to do, indulge in scones with strawberry jam, Rodda’s clotted cream and a pot of perfectly brewed tea. The Cornish cream tea was traditionally served as a ‘Cornish split’, a type of slightly sweet white bread roll, rather than a scone. The split became unpopular when the scone was introduced, today it is rare to find a Cornish split in the county. We like to think of ourselves as cream tea connoisseurs so here’s our guide to the best places for a cream tea in Bude. Step aboard this traditional styled wide beamed barge moored on Bude Canal for a cream tea with a view of the water. A cream tea with two freshly baked scones is £6. Open daily from 9am – 5pm. Find out more. Stroll off Summerleaze Beach and into this laidback beach restaurant. It has one of the best views in Bude and is a great place for a break from the sun on beach days. Open daily between 10.30am – 3.30pm and again from 7pm for dinner service. A Colwill family favourite, this is great after a coastal walk or a day on Northcott Beach. You will be greeted with a warm welcome and smile by Margaret. The food is delicious and it really is one of the best cream teas you’ll ever have, just look at all that delicious cream stacked on top of the jam. Mmmm. Located on The Wharf and opposite Bude Canal, this is a lovely place to sit and watch the world go by. It has a car park very close by and it is a lovely pit stop after a walk along the canal. Dogs are welcome. View their full menu here. Award-winning cream teas can be enjoyed at The Rectory Tea Rooms. 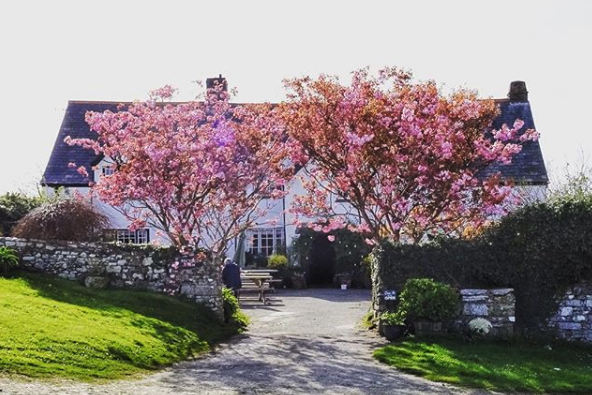 Located in the rural parish of Morwenstow with views across the North Cornwall coastline it is home to freshly bakes scones, jams and clotted cream. The Tea Guide has awarded them as excellent and we couldn’t agree more! Wherever you decide to go for your Cornish Cream Tea, we are sure it will be delicious. If you’d like more information on any of the places listed above or recommended routes to find them, please pop into reception and just remember…..